Portable outdoor BBQ grill. It is folding,compact in size,easy to clean. 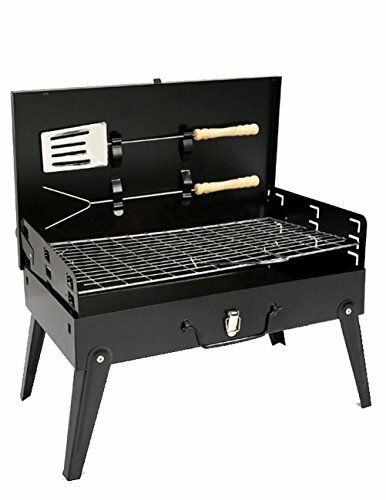 Chic appearance,excellent quality,special air vent design all of these will bring you a fantastic barbecue experience.Its convenient fold-up design with steel legs makes this portable grill a must-have for your next outing. You can not imagine,all in one box.Take it camping,to the beach,park or your favorite team's tailgate party.It's really a nice grill you cannot miss.